I recommend her to any patient. She is very friendly and easy to get along with. She’s the best. My experience with Dr. Tessler has been wonderful. She is very professional, knowledgeable, personable and kind. I feel very confident in her work and the outcome. My daughter and I have been patients of Dr. Tessler’s for two years now and I must say that we are very pleased with the results so far. Dr. Tessler has gone above and beyond the call of duty to make sure that our smiles will be corrected in a timely fashion. She has allowed me to come into the office every two weeks instead of every month since my progress was not moving as fast as expected. I would refer patients to her at anytime. My family and I are going to miss her. Wishing her the best. It’s totally worth the wait for an appt with Dr. Tessler. Our consultation was really one of the best (and I’ve been to a lot of consultations recently.) I’m a sucker for an ortho who talks about jaw angulation and incisal guidance and stuff like that. I would like to thank the staff and Dr. Tessler. They did a great and amazing job. I had a bad bite, they fixed it. It doesn’t matter how much money I spent, it is all worth it. 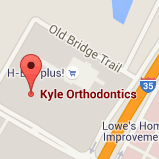 To those who need them, get the braces with no fears. I’m so happy with my new smile and healthy mouth. My daughter had severe issues with her teeth. I went to several dentists to get my daughter help with getting her teeth repaired. Due to the high cost I could not afford the fees. I took my daughter to Dr. Tessler. Upon Dr. Tessler’s examination she assured me my daughter’s teeth can be repaired with braces. After braces were put on and a minor surgery to the front teeth area my daughter can now smile without being embarrassed. I am sad to see that Dr. Tessler will be re-locating to Texas. She has always been very professional and caring. You brought a smile to my face and a little pep to my step with all your kind thoughts and good wishes. I feel fortunate to have met all of you and hopefully I will see you on our next visit.